Stephen Wilder received a Bachelor of Music degree in Composition from the University of North Texas in 1993, and a Masters of Music in Vocal Performance from Yale University in 2000. 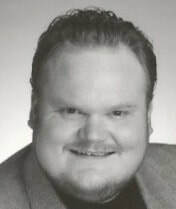 He sang with the Dallas Opera chorus for five seasons, with roles in 1995 (debut) and 1997. He taught general music and concert band in both Charter and public schools for fourteen years, has played the guitar for over 35 years, and joins us to teach a number of subjects and instruments, including voice, flute, clarinet, saxophone, trumpet, trombone, guitar, and drum set. He is currently an associate member of International Voice Teachers of Mix and is a Certified NHAOPA Coach. Stephen is thrilled to be a part of the #1 Performing Arts Academy in CT!!!! !